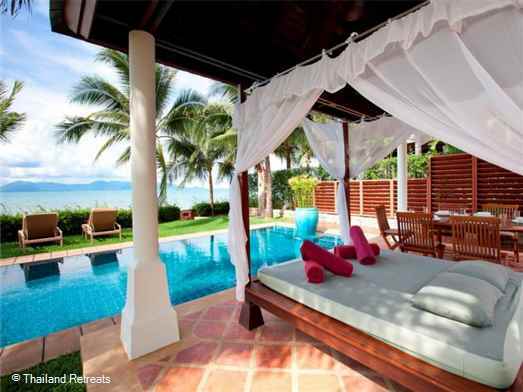 Villa Bougainvillea is luxury beachfront Koh Samui villa set directly on Maenam beach on an exclusive Estate. Beachside sala with 4 poster daybed, lap pool and lawned gardens. Offers rates for 2 bedroom and 4 bedroom occupancy. 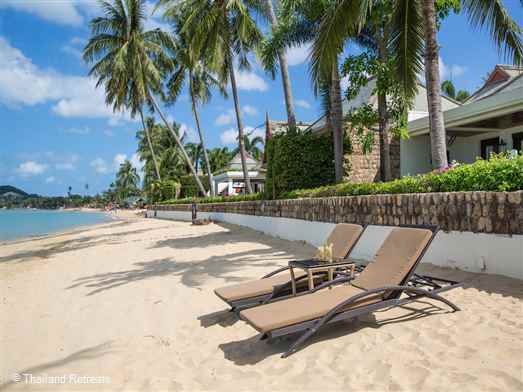 Fabulous villa on a high end beachfront estate on a beautiful sandy beach with good swimming. 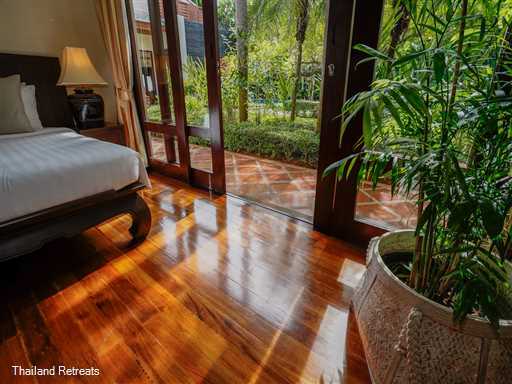 Fantastic views over to Koh Phangan and centrally located. 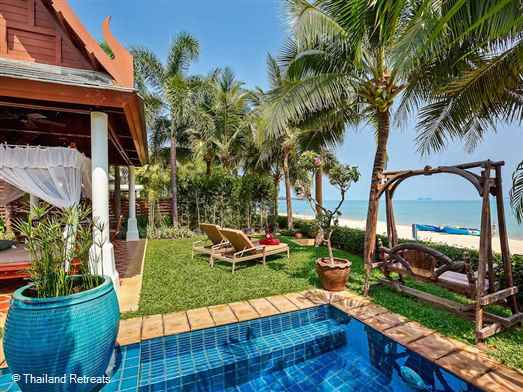 Villa Gardenia is a high end luxury Koh Samui villa set within an exclusive beachfront estate on a beautiful long sandy beach with good swimming. Fantastic views over to Koh Phangan and centrally located. 5 minutes from Fisherman's village. Offers 2 bedroom and 4 bedroom occupancy. 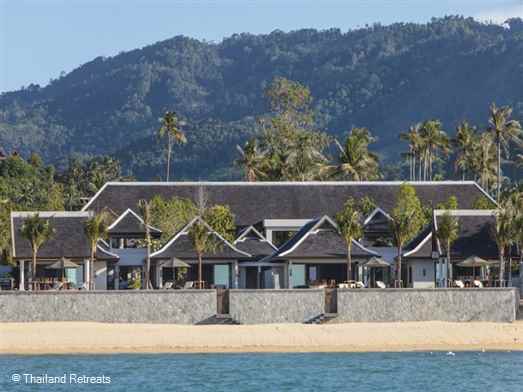 Villa Hibiscus is a luxury Koh Samui Beachfront villa set at one end a white sand beach with good swimming and great views. 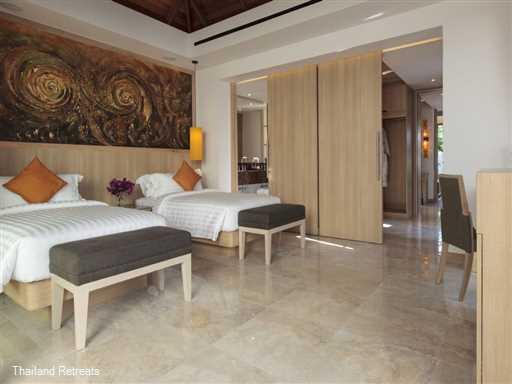 Part of an exclusive secure beachfront estate the villa offers rates for 2 bedroom and 4 bedroom occupancy. 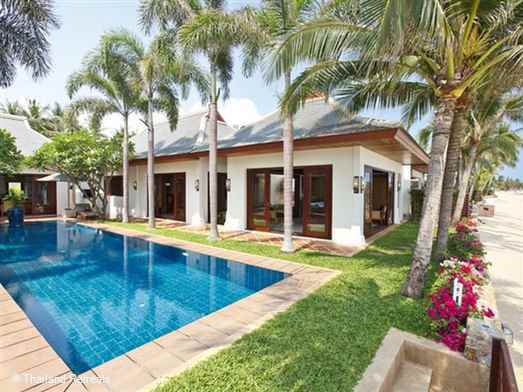 Villa Lotus is a high spec luxury beachfront villa with a super large pool and games room. 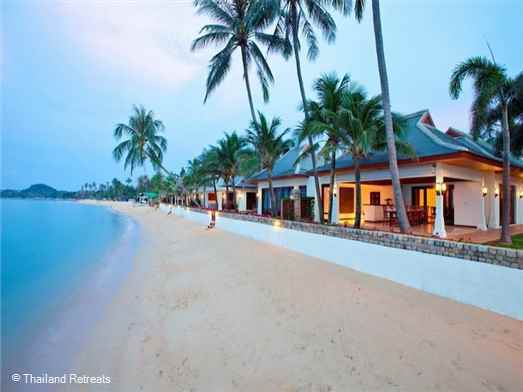 Set on a beautiful long sandy swimming beach with stunning views to Koh Phangan. Shared Gym. Less than 10 mins to Fisherman's village, Bophut. Offers rates for 4 bedroom occupancy and 6 bedroom occupancy. 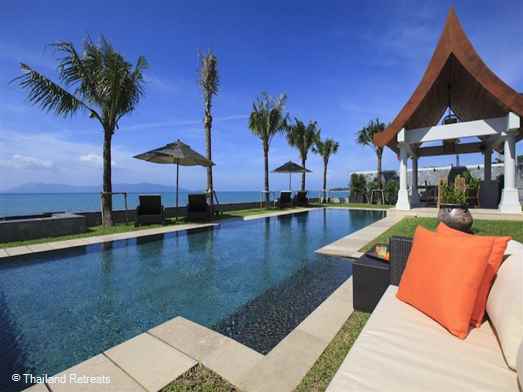 Villa Sila is one of our finest luxury Koh Samui villas. This elegant beachfront residence set inn a long sandy swimming beach is perfect for large family groups especially with young children. Ideal for weddings, celebrations and reunions. Offers rates for 5 6 and 7 bedroom occupancy. 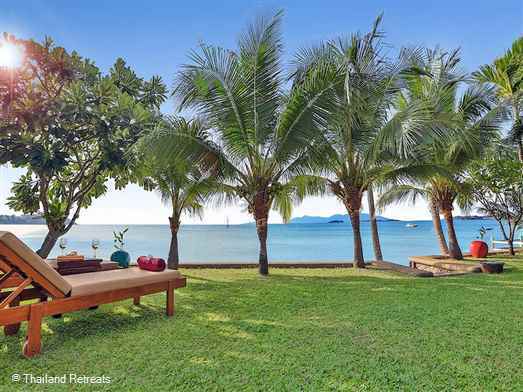 Villa Waterlily is a luxury beachfront Koh Samui villa set on a long sandy swimming beach and 5 minutes from popular Fisherman's Village, Bophut. Perfect for weddings, family groups and other celebrations. Offers rates for 3 bedroom and 5 bedroom occupancy.